Britain's economy is stalling. Investment is dropping. Big businesses say they may be forced to leave and take thousands of jobs with them. The latest warning comes from Airbus, which said Friday that it could be forced to quit the country if it crashes out of the European Union without a deal on trading arrangements. Deep confusion over what happens after Brexit takes effect in March 2019 is already causing serious damage. 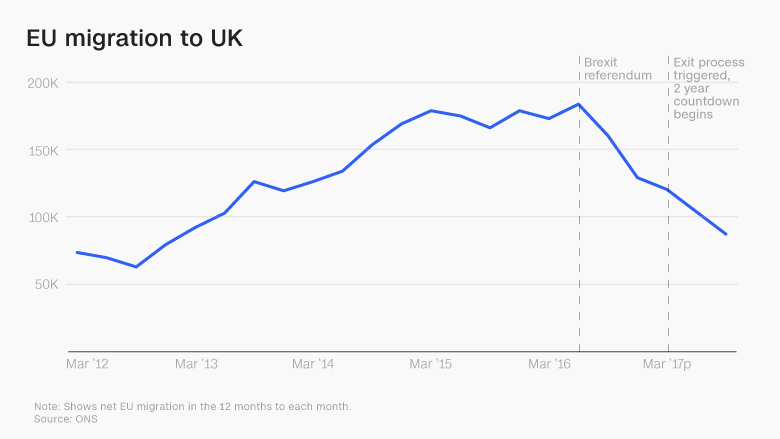 Here's how the United Kingdom has fared since the referendum on June 23, 2016. Economists at Berenberg bank estimate the UK economy lost up to £35 billion ($46 billion) in output between the third quarter of 2016, the period immediately after the referendum, and the first quarter of 2018. "During the past two years, much of the advanced world has showed tentative signs of escaping the post-Lehman age of caution and growth has improved," said Kallum Pickering, a senior economist at Berenberg. 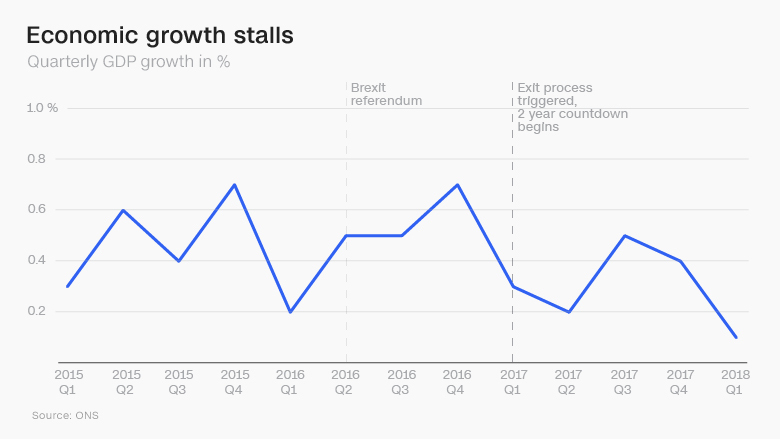 "Because of Brexit, UK growth has softened instead." The pound crashed following the Brexit vote, leading to higher inflation and less of the consumer spending that drives the British economy. Retailers are now feeling the squeeze in a big way. Other sectors are hurting too. GDP rose by just 0.1% in the first quarter as construction and manufacturing slumped. The National Institute of Economic and Social Research expects second quarter growth to be only marginally higher at 0.2%. The British Chambers of Commerce is predicting the weakest annual economic growth since 2009, when the world was in deep financial crisis. 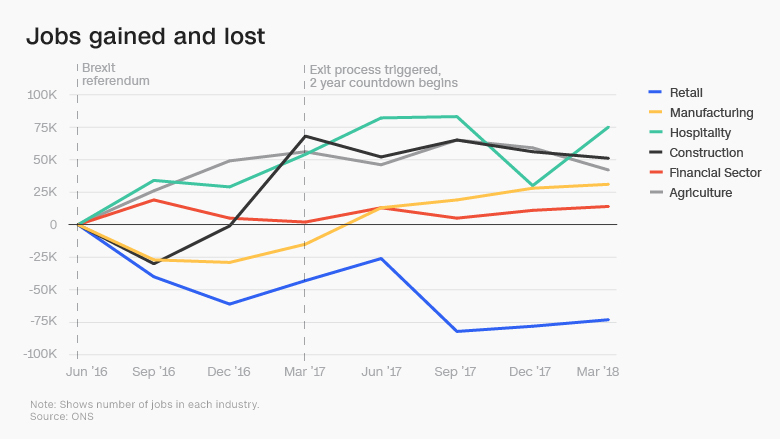 "Business investment has slowed and it does feel like a big chunk of this is related to the uncertainty and expectations of a smaller economy going forward," said Yael Selfin, chief UK economist at KPMG. Unemployment is at its lowest level in decades despite uncertainty over Brexit. But look closer and cracks start to appear. Once inflation is taken into account, wages only recently started growing again after falling for a year. "Because of the uncertainty, employers are reluctant to commit themselves to higher wages because they are not sure what the future is likely to be," Selfin said. The economy is still creating jobs, but at a much slower pace. Data from the Office for National Statistics show 451,000 jobs were added in the first year after the referendum, but only 112,000 in the following nine months. 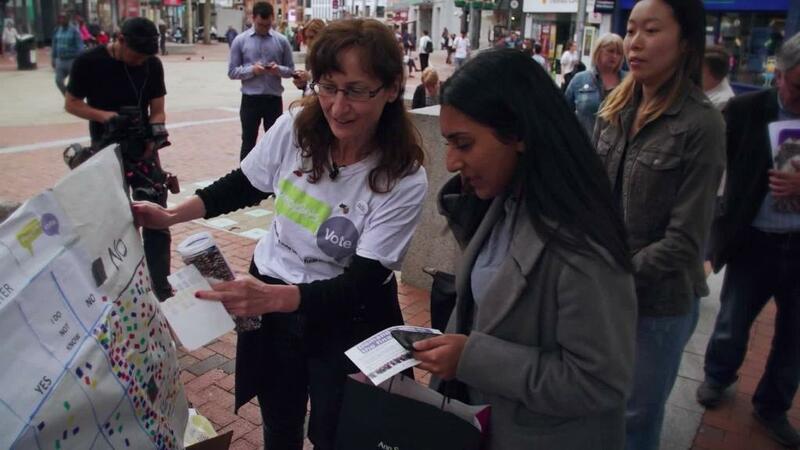 Over 70,000 retail jobs have disappeared since the referendum, and the pace of losses has accelerated in the past year. Construction has also suffered, with 17,000 jobs disappearing in the year ended March. Airbus (EADSY) fears that Britain may leave the European Union in March 2019 without a deal to keep it temporarily in the bloc's single market and customs union. Like many companies it needs time to adjust its complex supply chain. The company said Friday it urgently needed clarity. "We've got to be able to protect our employees, our customers and our shareholders," Tom Williams, the chief operating officer of Airbus Commercial Aircraft, told BBC radio. "And we can't do that in the current situation." The British government has yet to agree a proposal for how to avoid customs checks at the new UK-EU border, let alone win EU approval. Business leaders are warning of dire consequences for manufacturers, and especially automakers. "There is a risk that the auto industry in the United Kingdom faces extinction if there's no customs union after Brexit," Paul Drechsler, president of the Confederation of British Industry, warned last week. Companies, the health service and farms are also facing difficulty filling jobs as fewer EU citizens come to the United Kingdom for work. Immigration was a major issue in the Brexit vote. May has promised to reduce the number of immigrants coming to Britain after Brexit, and the rights of Europeans living in the United Kingdom were a major sticking point in negotiations with Brussels. Even though UK immigration rules have not yet changed, the number of Europeans coming to Britain dropped dramatically after the referendum. The Confederation of British Industry, an industry lobby, said businesses are "struggling to get the people they need to create jobs and growth." London's real estate market has already taken a hit from Brexit. After years of blockbuster growth, home prices in the global financial center have reversed course and are expected to drop further over the next year, according to the Royal Institution of Chartered Surveyors. London has been hit harder than the rest of the country, where house prices growth has slowed, but not yet reversed.